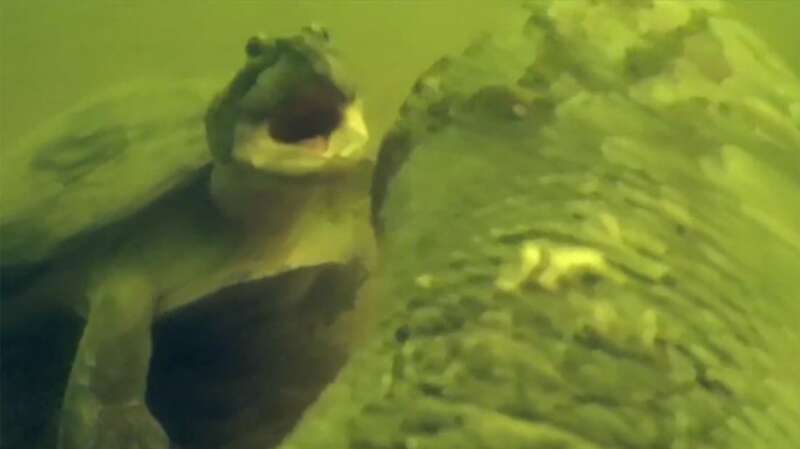 In this short video, National Geographic's "Crittercam" team attaches a camera to the shell of a giant river turtle in Brazil, then researchers narrate the video from a turtle's-eye view. If you look closely, at first you'll see dozens of much smaller turtles swimming beneath this giant one, then an encounter with a sort of bug-eyed, Elmo-looking turtle. That encounter is what researchers are studying—how do these giant adult turtles interact with their hatchlings? For more on how the Crittercam ends up on a turtle (and how it comes off automatically), National Geographic shows an Australian turtle-cam experiment. We also wrote about the Crittercam in 2009.